You are here: Home / Attraction Marketing / Network Marketing Leads – Warm, cold, or attraction marketing? Warm Market, Cold Market or Attraction Marketing? 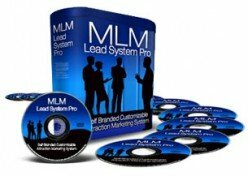 and what I’m about to say may not please those that swear they’ll never contact their warm market to build their MLM, but I suspect it’ll give them something to think about. If you’re one of them… read on! I think it’s safe to say that by “warm market” we’re talking about people that already know us, hopefully like and trust us. Are we in agreement on that? It’s all about the relationship, or is it? The designation of how “warm,” “cold,” or “hot” a network marketing lead / prospect is is generally based on the intensity of the relationship and trust established with that person. So when we talk about warm market we’re typically thinking of family and friends. After all, we weren’t born knowing all the friends we have today, were me? is really about building a BIGGER WARM-MARKET. it’s about building a better relationship with the people you’re in contact with. And by “in contact” we’re talking about e-mailing, Facebook-ing, talking on the phone, sitting down over a cup of coffee, a hotel meeting… whatever. So often we get sucked into a scenario described in a sales letter thinking that’s Everyone’s experience. Then I’d say help those on your team understand, with clarity, what they are EXPECTED to do. Most people want to be led (laziness and fear of failure, and yes I have to consciously battle these human flaws myself), so we be the leader and lead with clarity and a high level of ethics. Help them look beyond the marketing in the salesletters, and should they choose to buy a training product, learn what they can, apply it, and just move on. Mike Dillard and Ann Sieg are both in my warm market. Yes, we’ve developed solid relationships over the past 2 years. Are they going to join my business? I’m not going to sponsor everyone. In fact, I don’t have to, nor do I want to (some people are pretty high maintenance!). But the message here is that building relationships correctly is the key. You better believe the same gurus whose sales letters say to NOT contact your warm market are making most of their money from their own warm market contacts. Great video Jerry! This is so spot on. I’d say 90% of people who become clients are from my warm market. Many of them were cold market at first and over time through consistently adding value they became a warm market contact. Most people will not buy from people they do not have a connection with. Jerry, you are a great example of a master in building relationships and keeping in touch. It’s not surprising how you are able to have access to industry giants in any field. I have been watching your videos for some time now and always enjoy the content that you provide. In Network Marketing it is difficult to find good online content that isn’t prepared to try to recruit you into their downline. You are a true asset to not only Network Marketing and the Home Based Business industry, but also the Internet Marketing industry. I am curious about something. Did you recently purchase the Priority Team? The reason I ask is because I thought that it was operated by Tom Challen not to long ago. Hey Karl – Thanks for coming by and your kind words (btw, this is me not my assistant…).